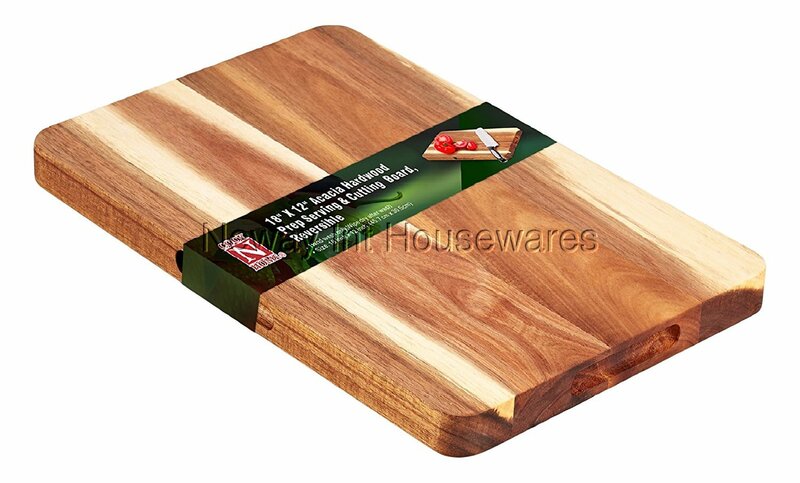 The Cook N Home 18" x 12" Wooden Cutting & Serving Board, Acacia Hardwood, Reversible is made of natural Acacia wood that is thick and durable. The board can be used for cutting, serving, and preparing food. Slotted handles and heavy weight for control and stability. Reversible use, hand wash only, and wipe dry immediately. Measures: 5 lbs, 18 x 12 x 1.2 inches, 45.7 x 30.5 x 3 cm.